By the mid-1960s, cotton had lost many of its traditional markets to the new "easy-care" synthetic fibers. Realizing this, U.S. Upland cotton producers conceived a self-help agriculture promotion program. 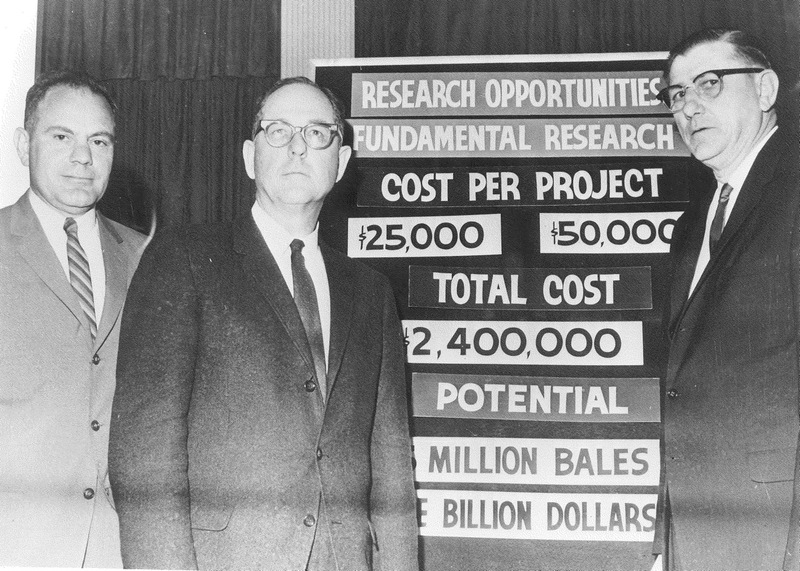 The passage of the Cotton Research & Promotion Act of 1966 enabled upland cotton producers to join together to begin battling synthetic competitors and re-establishing markets for cotton. In a referendum, producers voted to set up a per bale assessment system to fund the program and established built-in safeguards to protect their investment. Today, due to the success of the Program, cotton is the best selling fiber in the U.S. and one of the best selling fibers in the world. 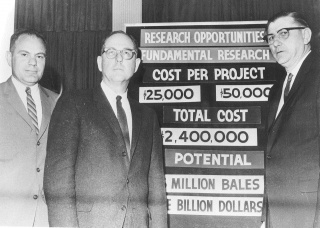 The Cotton Research & Promotion Act of 1966 established The Cotton Board to administer and oversee the Cotton Research & Promotion Program. The Act also directed The Cotton Board to contract with a separate organization to conduct the actual research and promotion activities. That organization is Cotton Incorporated. The most significant amendment to the Act occurred in 1990 and expanded the Program to include the cotton content of imported apparel and other products. Based in Memphis, Tennessee, The Cotton Board’s membership consists of U.S. producers of upland cotton and importers of cotton products, including brands and retailers, whose task is to oversee the Cotton Research & Promotion Program. The Cotton Board helps set broad policy for the Program, reviews and recommends Cotton Incorporated's annual plan and budget, and reviews Program activities. The Cotton Board collects the assessment that funds the program from the buyers of U.S. upland cotton and from importers of cotton products. The Cotton Board also serves as industry liaison with USDA and works to inform producers and importers of Program activities. The Cotton Board has regional communication managers (RCMs) located strategically throughout the Cotton Belt and an importer representative in the New York area. The original contracting organization was called the Cotton Producer's Institute. It had operated as a subsidiary of the National Cotton Council since 1961. However, in 1970, the Cotton Producer's Institute was separated from the National Cotton Council and became a separate, non-profit entity named Cotton Incorporated.